Have your past attempts to lose weight failed? What’s sabotaging your waistline, and consequently your health? ♦ Stop worrying about your weight affecting your health? ♦ Have energy to do the things you want in life? ♦ Have a more positive attitude about life and self-confidence in social situations? Change your negative perceptions about dieting — see weight loss as an enjoyable adventure. This information is a compilation and a distillation of strategies and tips developed from over thirty years of clinical experience and nutritional research. Dr. Sedlak sheds light on misconceptions, pitfalls and roadblocks regarding weight loss and explains why our efforts actually make us fatter. Learn what’s occurring internally, and how to work with your body instead of against it. 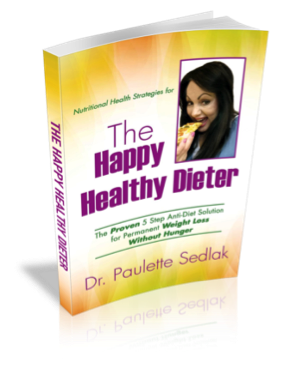 Learn how to harness the mechanisms that control your appetite, eat until you feel full, and still lose weight. Be healthier than you ever have been in your whole life.